You might be storing your wines under the perfect conditions but what good does it make if you cannot find or reach the right bottle when you need it? 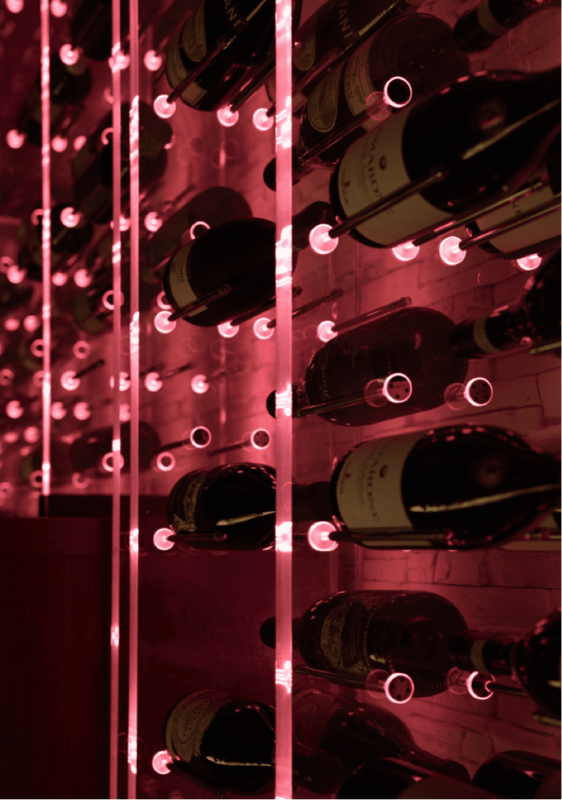 Success in managing a wine collection means accessibility of the correct bottles at the correct time and this largely depends on the organization of the cellar. Besides a possible (digital) inventory of the collection, your best help for keeping your collection organized, comes from a well-thought racking arrangement. Your cellar should be organized according to your needs. Individual bottle storage might be the right solution for you if you build up your collection by acquiring your wines bottle by bottle. On the contrary, you might need more bulk storage and less individual storage because you buy more in cases. Or, you might have old, valuable and rare wines, maybe verticals, that you would like to show on special displays. In any case, your cellar should have enough of the right kind of racking for your needs. The materials and structure of the racking should be strong enough to carry to load of the bottles. The chosen materials should be resistant to humidity. The chosen materials should be odorless. The design of the racking should enable the bottles to be displayed ideally. Besides the traditional wooden racks there are other materials which fulfil the above requirements such as metal, glass, acrylic etc. At FWC, racking solutions are endless combining these materials and more. We research and test even the most unthinkable materials (such as genuine leather) to come up with unique racking designs.